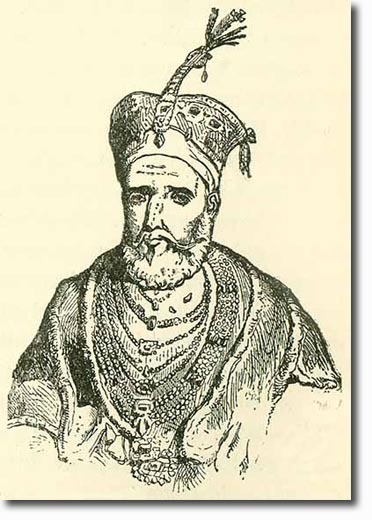 Referred to as the King of Delhi, he was the nominal last Mughal Emperor of India from 1837 to 1858. He was more of a poet, musician and calligrapher than a ruler. He had no real power, and when Delhi was captured by the rebels in 1857 he was forced, at the age of 82, to be their leader. After he was brought in by Hodson he was exiled to Burma and died in 1862.